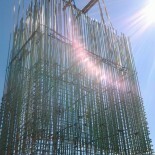 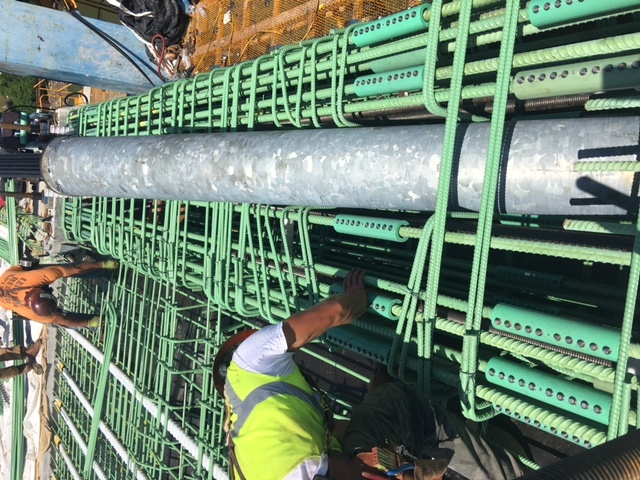 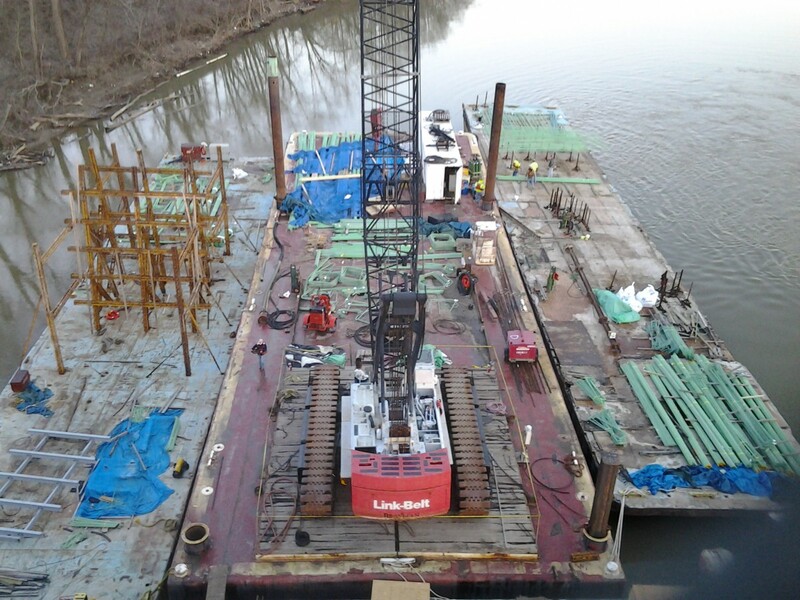 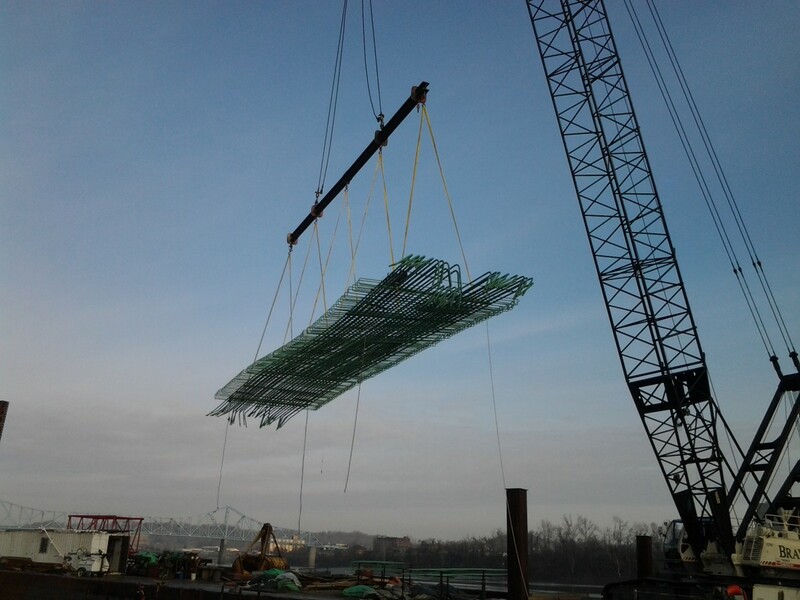 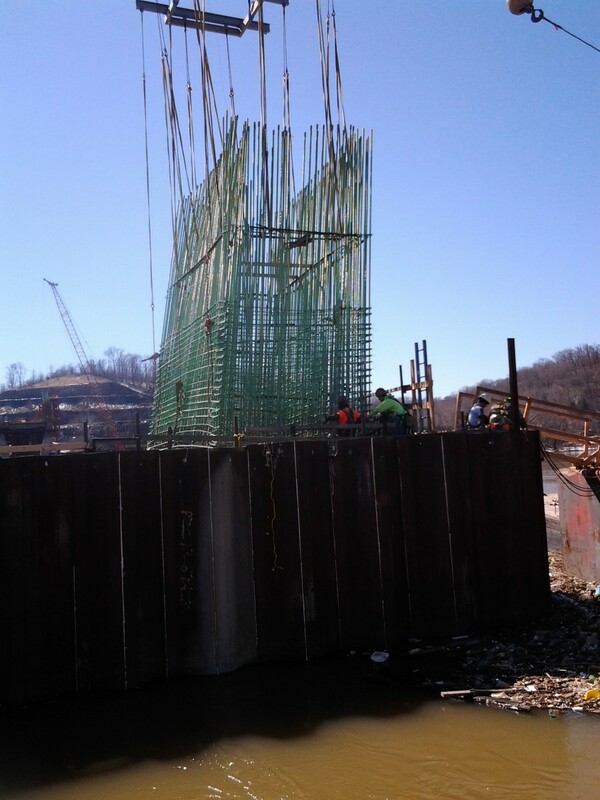 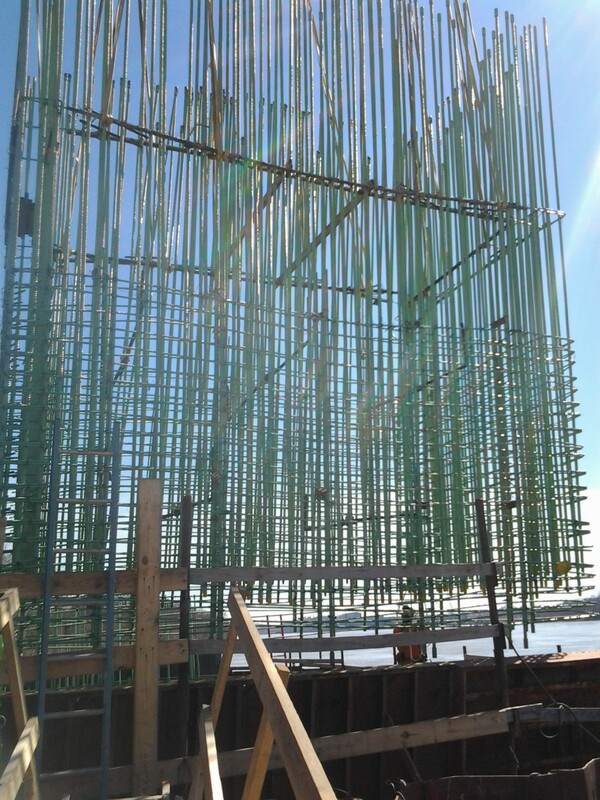 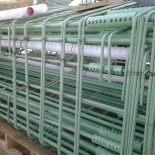 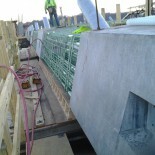 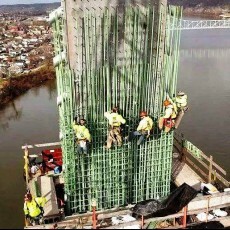 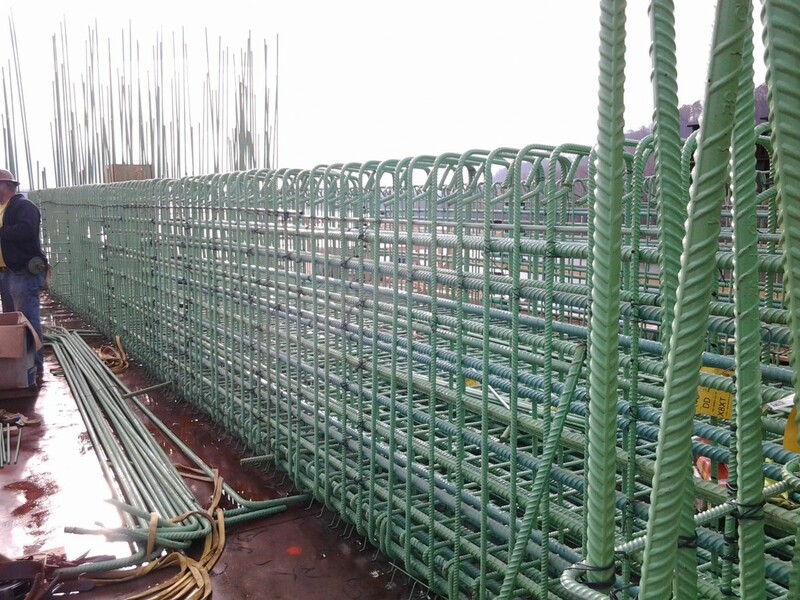 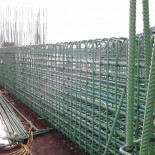 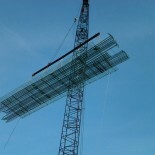 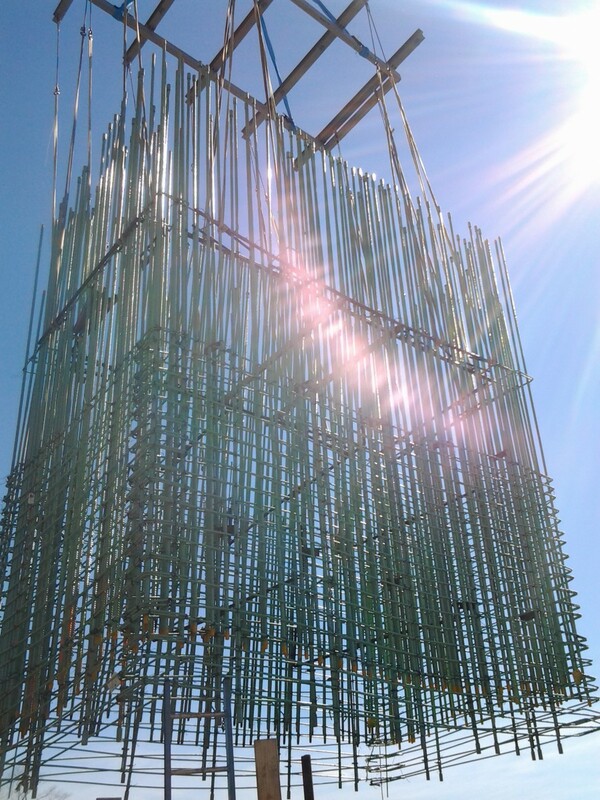 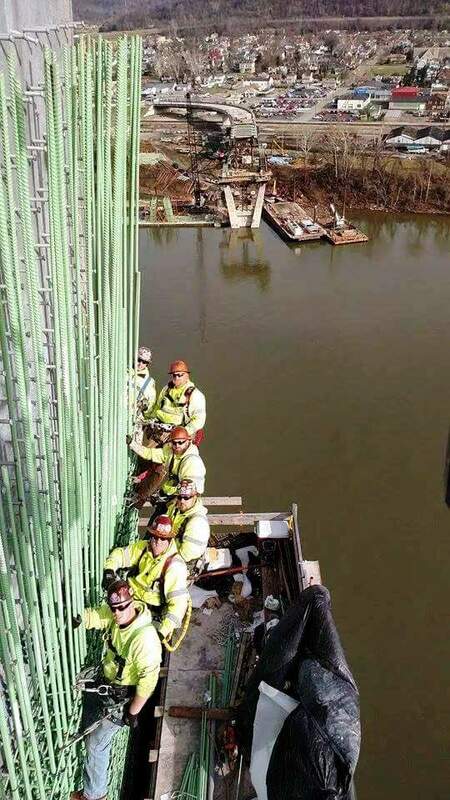 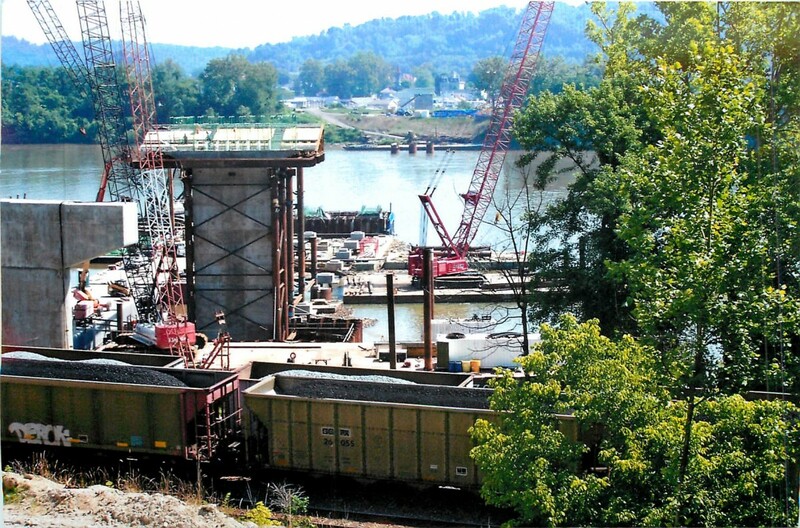 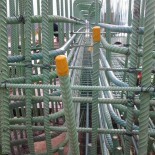 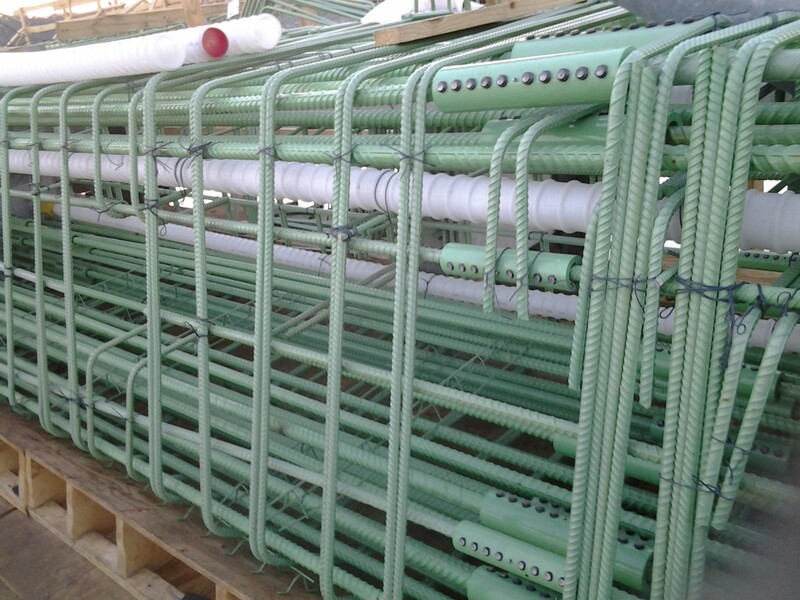 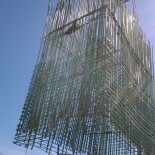 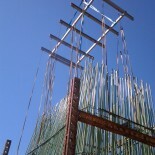 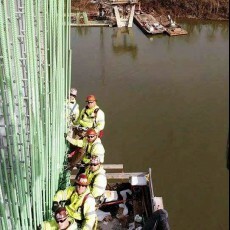 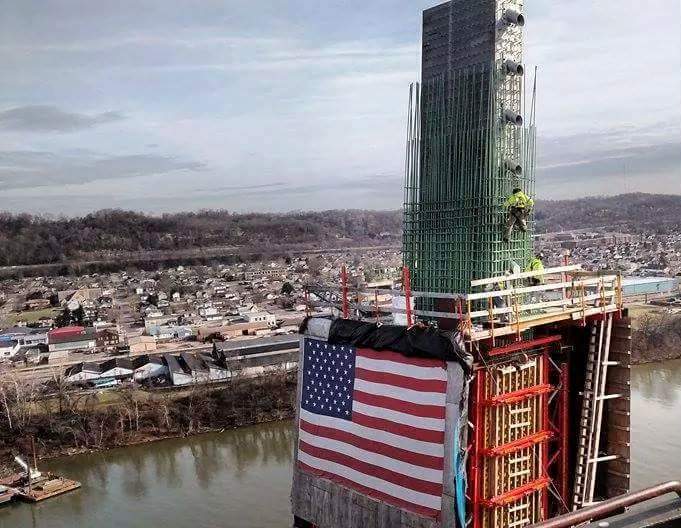 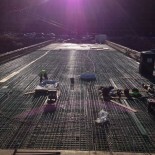 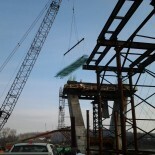 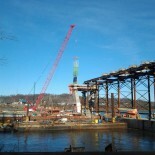 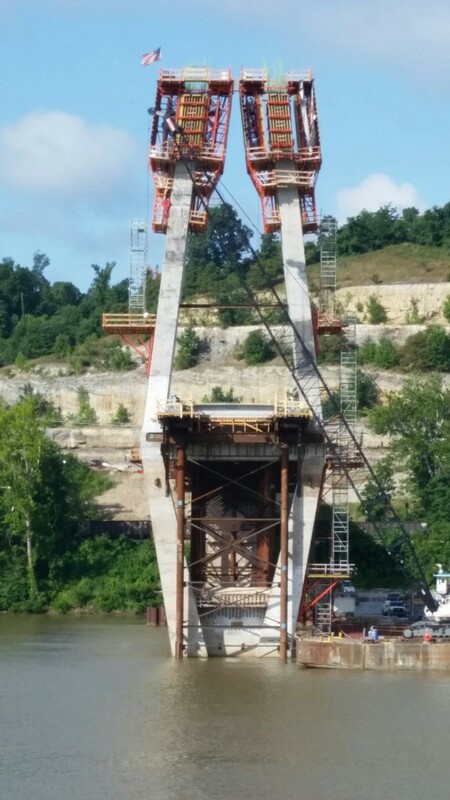 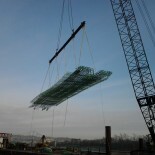 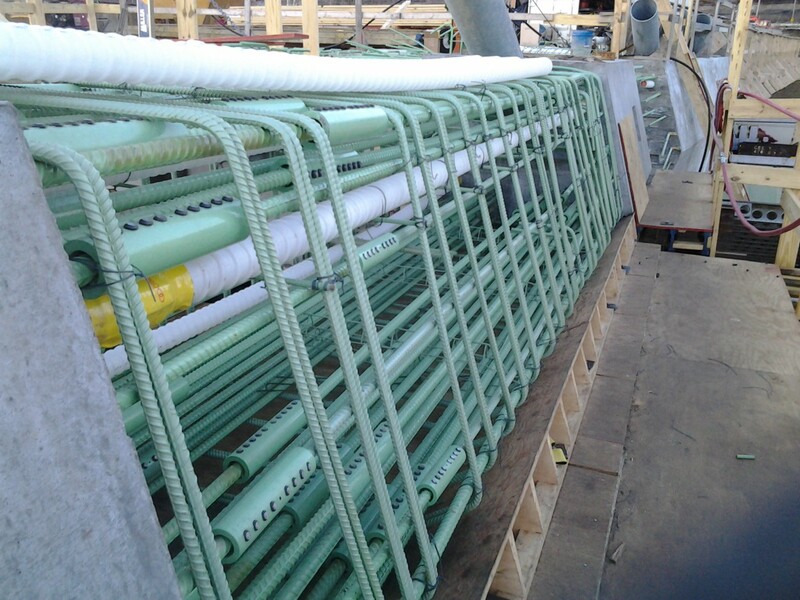 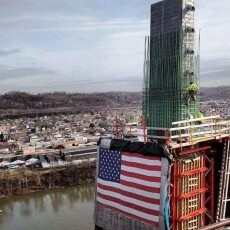 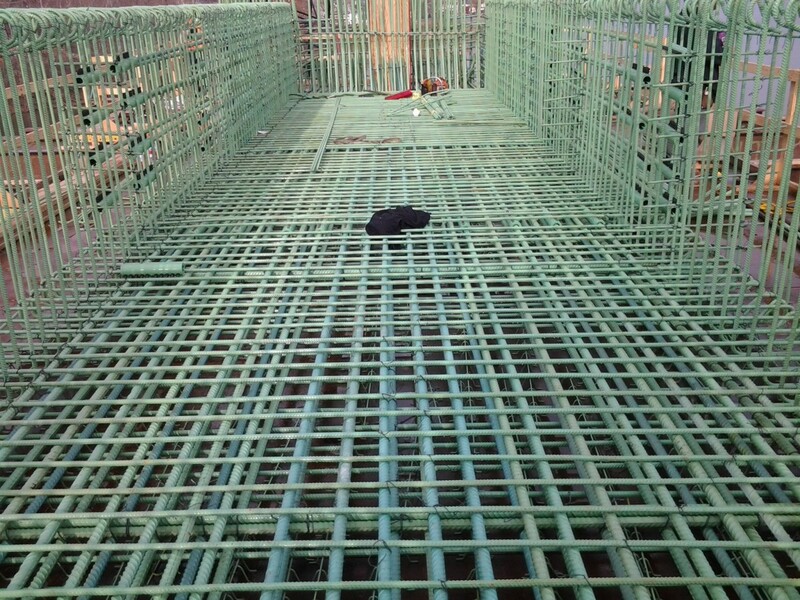 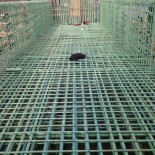 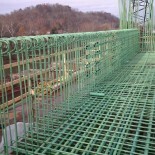 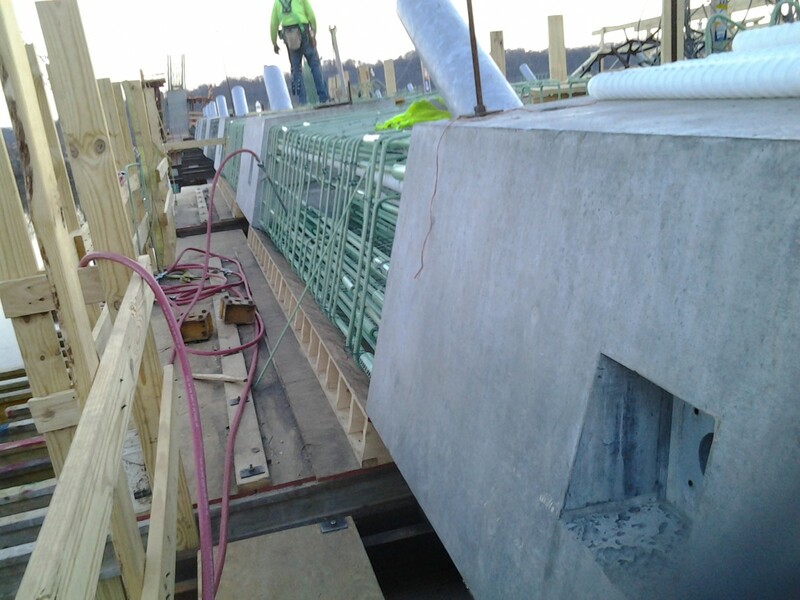 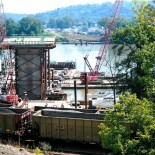 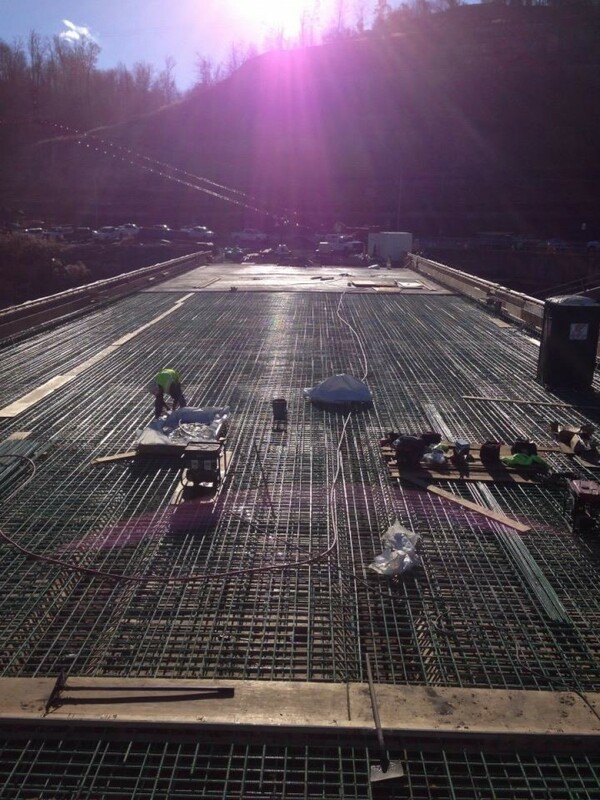 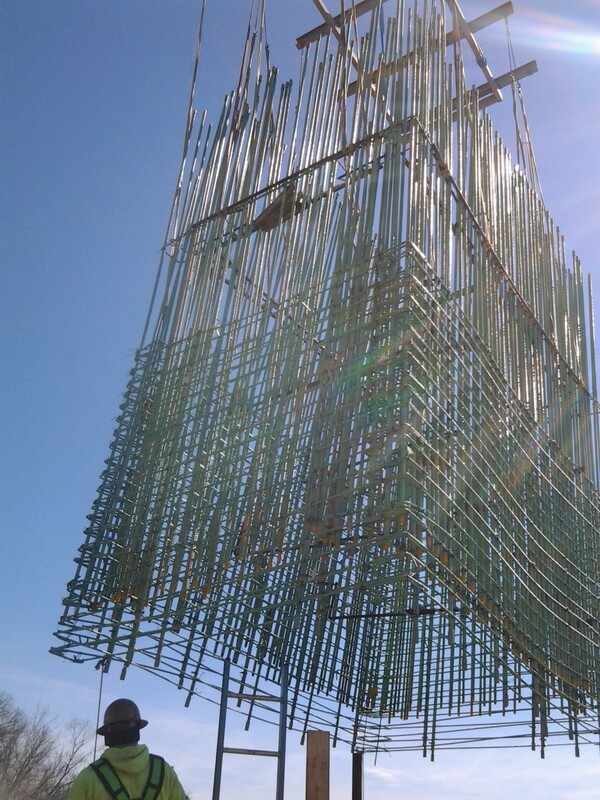 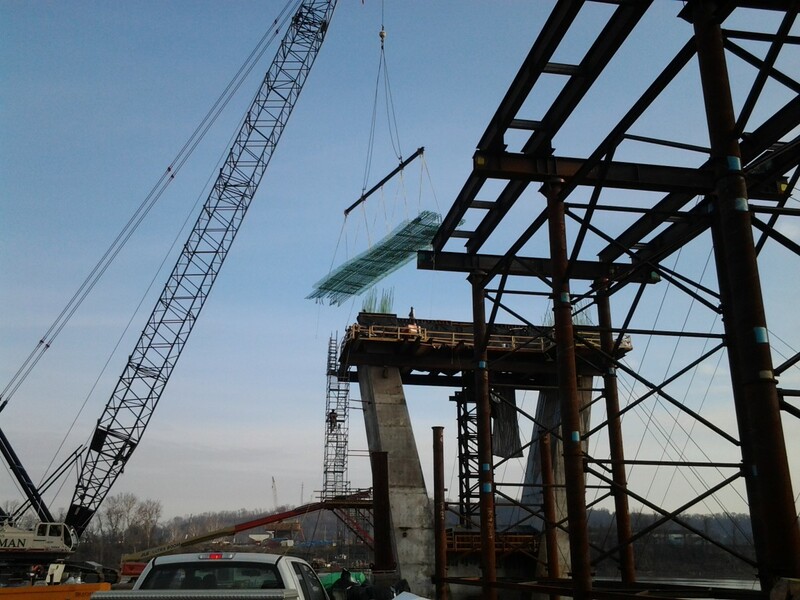 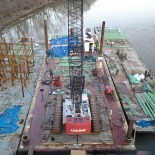 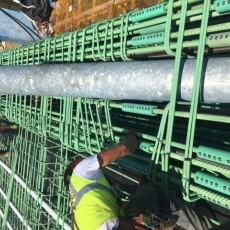 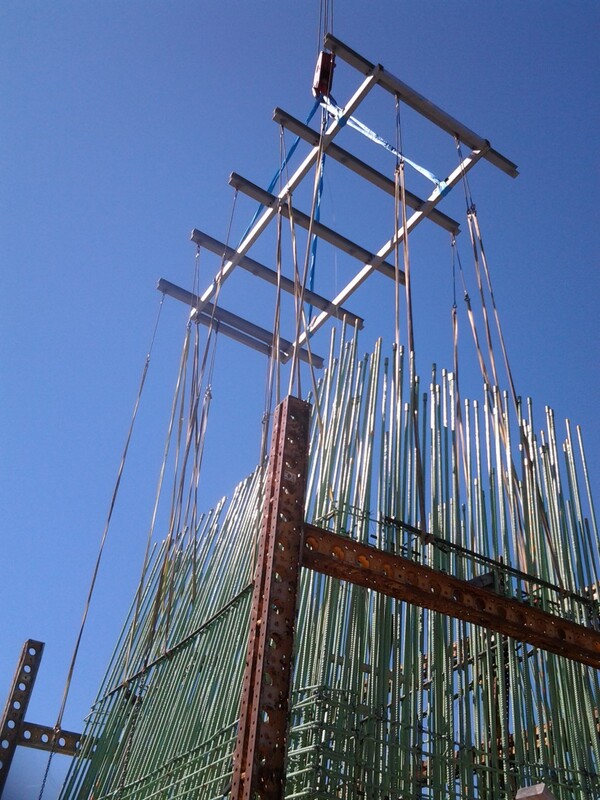 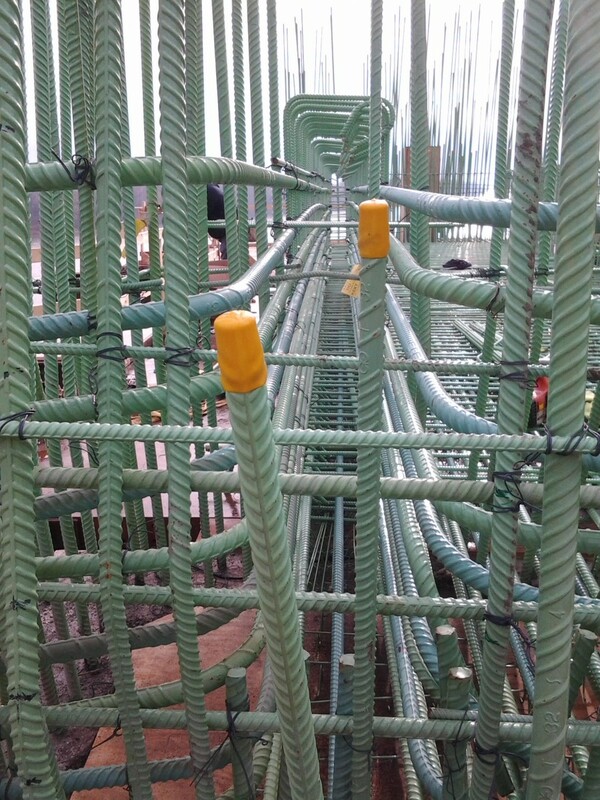 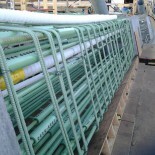 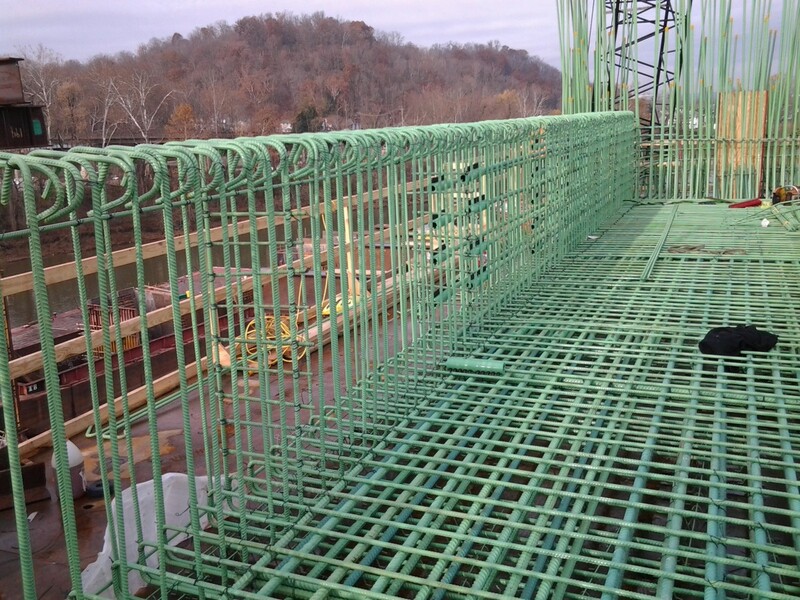 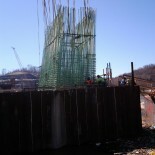 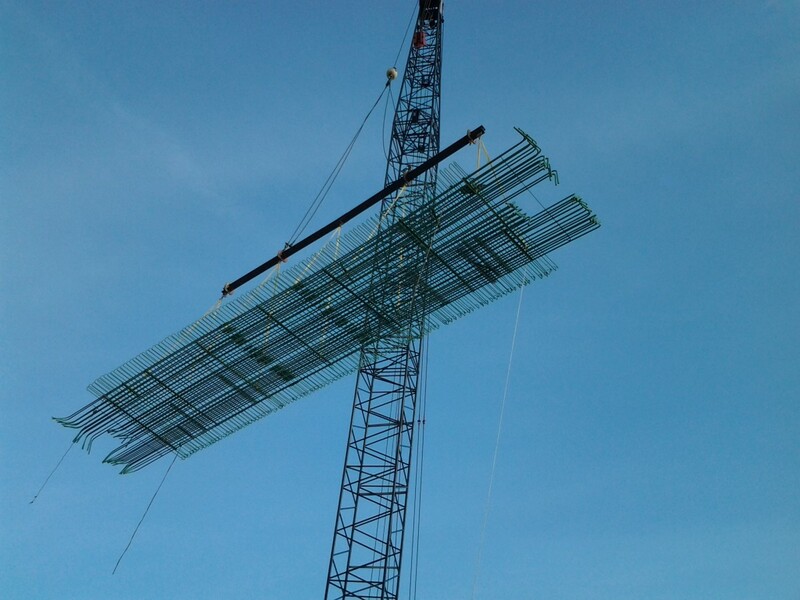 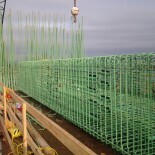 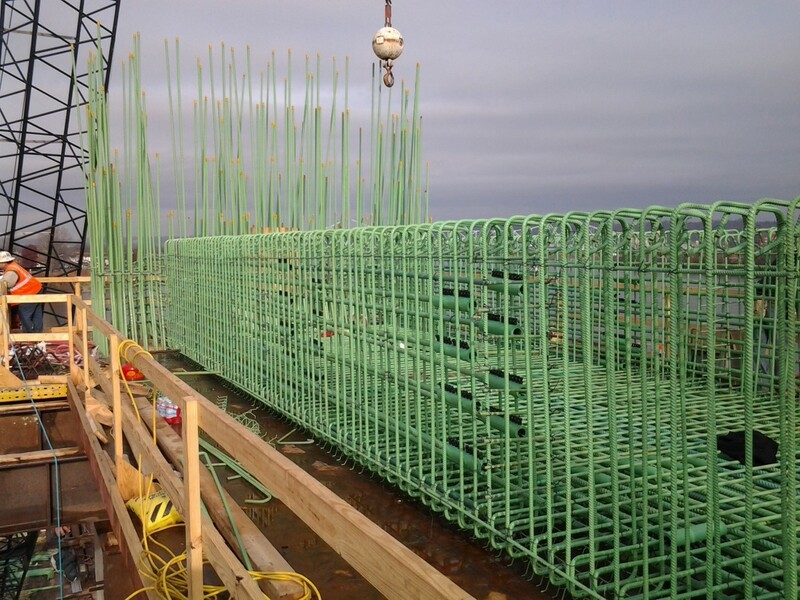 Furnishing and installing approximately 5,650,000 pounds of rebar and 9,650 mechanical connectors for the replacement of the existing Ironton-Russell Bridge, which is a major crossing of the Ohio River between the towns of Ironton, OH and Russell, KY. 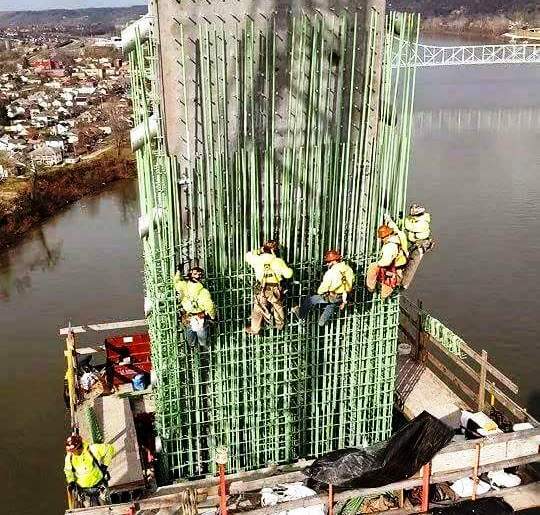 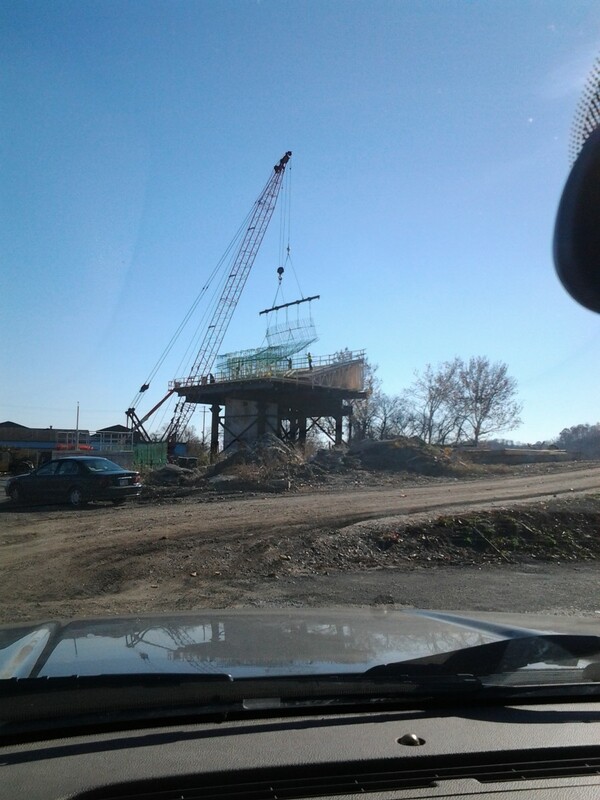 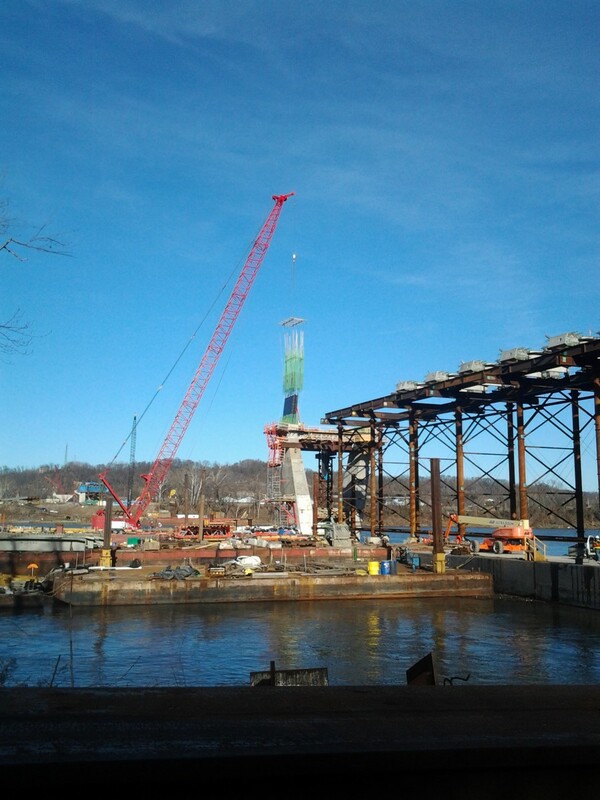 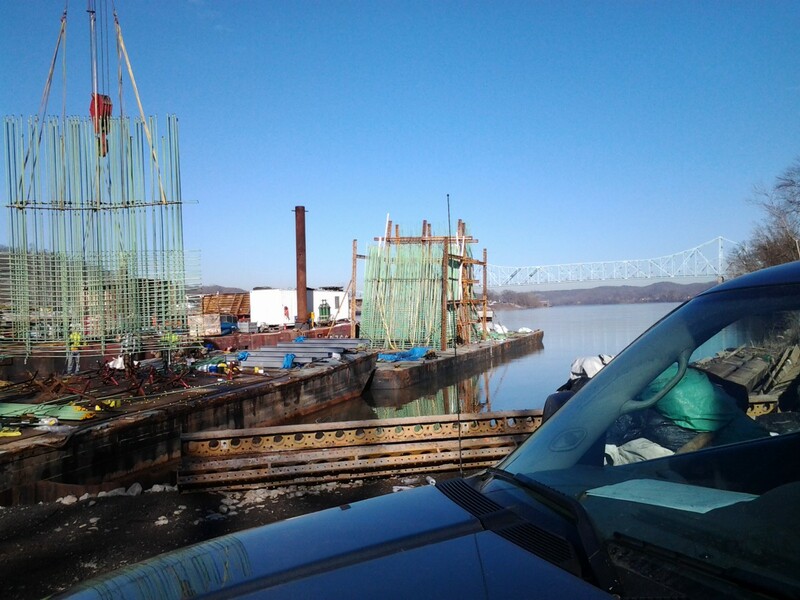 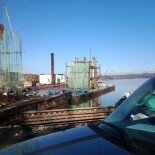 The main (river) span is 1,640 ft long and will be the cable-stay portion of the structure with two main towers at a height of 300 ft from the river and two anchor piers on the rivers edges. 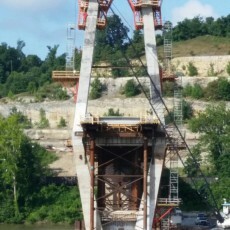 The entire structure is cast-in-place, reinforced concrete, utilizing the cable stays to construct the bridge by balance cantilever methodology. 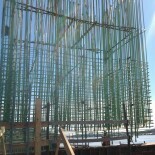 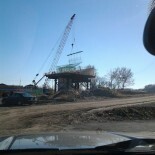 Below is a rendering of the completed project.